It is no joke that I am completely in love with my Droid Incredible. I have had it since last July (I waited a whole month to get it!) and it is the first smartphone I have ever owned. 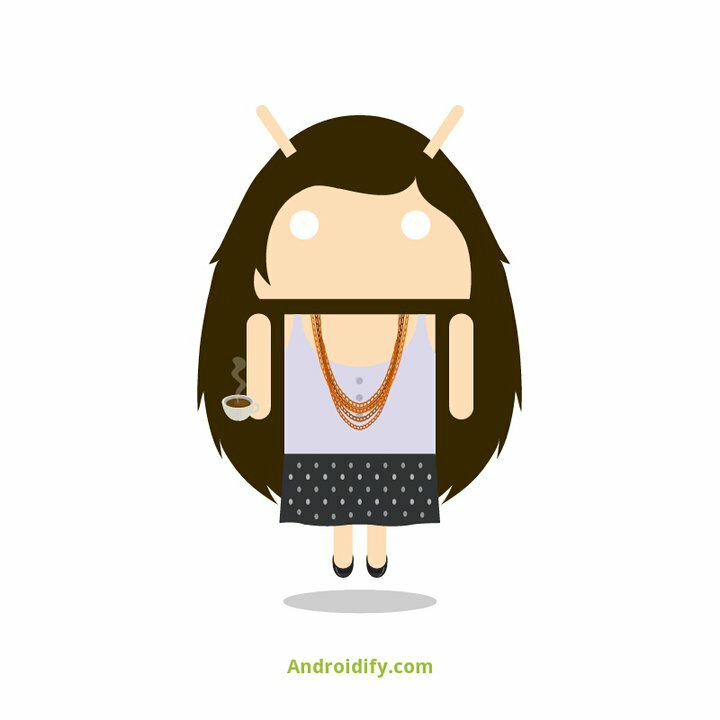 The Android version of me! When I first started looking at smartphones, I took the time to research all of them. I originally wanted a Blackberry Curve, but after speaking with several Verizon Wireless customer service representatives I decided the Droid Incredible was the phone for me, and not because it had just been released, but because it was what would work best for me. I absolutely loved all of the features the phone had and realized it would do everything I needed a smartphone for. While I have only had my Droid for a little less than a year, I recently started to think about going back to a normal cell phone. Why, you may ask? I feel extremely too connected sometimes. Even when I try to take a break for a day, I feel as if I am constantly checking my phone. If I am not constantly checking my phone, I feel like I may miss something important, or I need to inform everyone I am taking a day off from my computer and phone, which I feel is completely impossible to do most of the time. My smartphone is a great asset and I will not really get rid of it. However, I have decided I will stop checking my phone past a certain time each day. Yes, it is great to be connected, but there is a fine line between connected and too connected. The past few months I feel as if I have been too connected and I want to make a change so I do not feel like I have to constantly check my phone when I am away from my computer. There may be some exceptions, like if I am waiting for something important from someone and I know they will email, or contact me, late at night. However, like my mentor says, many things can wait until the morning! What are your thoughts? Are we way too connected with our smartphones? Should we disconnect after a certain time each day? If so, what do you think is a good time to stop checking your phone? You can read the article that inspired this post, here. I agree, 10:30 p.m.- 8 a.m. would be a great time to stay off my phone. As college students, we should try to be in bed that early every night, but something always seems to come up. I keep my phone on 24/7, so I almost feel like I should turn it completely off at 11 p.m. and turn it back on after I finish getting ready in the morning. This way I have limits. Hey Ashley. Setting yourself boundaries and working on discipline is good, even if you’ll see lots of others not follow that example. I think it only gets worse once you work in PR, a client is travelling so they do email at 10 pm and the routine check-in could lead to a late night of work and not being able to recharge. Being able to take a break is critical for peace of mind if you ask me. How to take those breaks is individual whether certain times or days, etc. but I wish you every success! Thank you for the feedback! I love PR, but I am somewhat worried I will be an extreme workaholic when I graduate and get a real job. I think setting some boundaries early on will help with this. If I know I will have a late night, that’s fine, but if I have nothing to do I do not think I should spend my night on the computer or phone. Like the article that inspired my post, I almost feel like social media can, and does, get in the way of real life sometimes. Recently I purchased my first smartphone, the Blackberry Torch and I finally understand why it’s known more appropriately as “Crackberry.” There are days I feel overly connected. You tell yourself how many times can I press the facebook and twitter button (which I’m probably gonna check post comment), but like Candice said, something insides you tells you to check one more time. It also doesn’t help the BB has an indicator light. The one boundary I did set for myself was not syncing my work email to my phone. The position I’m currently in doesn’t call for such a demand, but like you I’m worried once I’m in a PR position, my phone will superglue itself to me. There are good and bad attributes with all smartphones, but it comes down to telling ourselves no and sticking to it. I swear you’ve been reading my mind! For the past few days I have been forcing myself to take time away from my laptop and phone. I’ve even been charging my cell phone far away from my bed at night so I can hear my alarm but not constantly check it when I should be sleeping. I’ve been telling myself “it can wait an hour” whenever I’m working on something for school and I hear a phone notification of a new email. Being plugged in all the time can seem productive, but when you have to stop what you’re doing every time your phone goes off- it really isn’t. I agree, when we start working it will be even harder to disconnect, so if we’re going to make changes it’s probably best to start making them now. Erica, I promise I’m not reading your mind! 😛 It is always good to step away from our laptops and phones so we do not forget what the real world is like. I know I personally have to force myself to do this sometimes, but I make it happen. I think you are reading my mind actually, because I recently started putting my phone on the charger across the room with the alarm on so I will not touch my phone when I am doing homework or getting ready for bed. By the way, I 100% agree to this: Social media is great, but real life ain’t too bad either : ) So very true! Glad you liked the post! Hi, my name is Chris Banks and I’m an addict to being always connected. You had the exact same reaction as me! I almost gave up my Samsung Captivate because I was constantly checking it while I was with friends and family. But I’ve become attached to it, and that’s not likely to change anytime soon! I’ve experienced the “wait, I don’t need to check facebook…I did it 12 seconds ago.” moment. As far as the line between connected and too connected. It’s different for everyone – I think as long as you’re not letting your virtual/internet life interfere with your real/daily life it’s not a problem. Maybe I’m just not addicted enough to recognize it as a problem. I do, however, think that it’s important for people to outsmart their smart phones. I definitely understand the Twitter thing. I have been trying to stay off late at night so I cannot find something else to look at and tweet about. So far I have been doing well, but it also helps that I have been incredibly busy with school and other things. Since I have been keeping my phone across the room, I have not been looking at emails, tweets and my Google Reader first thing in the morning. The one, and only, time I have experienced the chance to play with an iPad I could not put it down. Super glad I do not own one! It would be way more dangerous than my phone. Katie, I agree with you. Everyone has a different opinion of what is connected and too connected, and it is definitely different for everyone. I am not that addicted, I know I could be on my phone way more than I am. I just want to make sure I never get to the point where I rely on my phone while I’m out with friends, if that makes sense. I have a smartphone since the Iphone 3G (now it’s a droid too) and I am using it a lot too. I have my emails there and twitter of course. But I also installed a little tool called Tasker that will automatically switch it to Airplane mode in the evening and back in the morning. And when I’m working on something, I just flip it on the screen and Tasker sets everything to silent and no-sync. Tasker is a great tool to reduce the amount of attention a smartphone can claim. But it’s really a mindset. For example, on weekends I’m only using it to catch up on twitter every few hours. Maybe I watch one of my favorite podcasts, but I can put it down and read a book the whole day if I want to. You can practice it with “offline days” where you don’t check your mail or do stuff online if it is not work. That helped me a lot too.